Chemical manufacturers and petroleum refiners are closely tracking the latest activities of a high-level agency working group formed pursuant to President Obama’s Executive Order (13,650) responding to the West, Texas, fertilizer plant explosion in 2013. The President and the public cried out for a higher level of scrutiny of workplaces that store and process hazardous chemicals following the explosion. The working group responsible to carry-out the President’s Order is comprised of EPA, the Occupational Safety and Health Administration, Department of Homeland Security, Department of Justice, Department of Agriculture and Department of Transportation. The present focus of this collection of agencies is to seek regulatory changes, including amendments to EPA’s Risk Management Program (RMP) rule (RIN 2050-AG82). In a series of progress reports to the President, the working group pledged, among many other actions, that EPA would propose regulatory amendments to its Risk Management Program in 2015 and publish a final rule in 2016. Now, as a result of two years of intensive discussions by representatives of the agencies regarding how they could make both internal policy changes and regulatory changes, EPA completed a small business regulatory review process and published in the Federal Register for public comment a proposed rule to revise the RMP requirements. At the same time OSHA plans to soon commence a small business review of proposed changes to its Process Safety Management standard, which provides overlapping regulatory requirements. Among the numerous significant changes proposed to the RMP rule, one would increase the frequency and scope of compliance audits and vastly narrow the pool of eligible auditors, and another would require employers to evaluate the existence and feasibility of adopting “inherently safer technologies” as part of process hazard analyses. EPA’s proposed rule on RMP changes, published in March in the Federal Register, is a whittled-down version of an initial rulemaking plan presented to small entity representatives for review in September 2015. Those representatives made numerous suggestions for scaling down the proposed amendments. The proposed rule is even more whittled-down from the topics reflected in a Request for Information EPA issued to kick off the rulemaking process. By the sooner of 12 months following an RMP-reportable incident or three years from the most recent compliance audit, the company must engage an “independent” and certified or qualified third party professional to conduct a traditional three-year compliance audit. The proposed rule sets a controversial standard for “independence,” which prohibits the consultant from providing any design, construction or consulting service to the company in the three years leading up to and the three years after the compliance audit. The proposal also calls for the auditor(s) to be trained or certified in proper auditing techniques, and to certify in the audit report their independence and that the report contains no false statements. Also, for no apparent safety reason, the proposed rule would require that at least one audit team member be a Licensed Professional Engineer. EPA proclaims in the proposed rule that the scope of the three-year compliance audit will not change, but EPA slipped in a line that would require a facility to audit all process units, for all RMP program elements, every three years. Despite claiming this is only a “clarification,” since the birth of RMP, and PSM before that, regulated facilities with multiple covered processes were allowed – indeed encouraged by OSHA, EPA and consensus standard-making organizations – to use representative unit sampling to perform three-year compliance audits. This would be a significant change that will undoubtedly result in a significant increase in the cost o f compliance, but more importantly, will diminish the quality of compliance audits. Under EPA’s new proposal, a facility with 30 covered processes would now have to audit 12 RMP Program elements in thirty processes, which effectively means a records review, physical review and interviews related to 420 regulatory elements, at least every three years. Combined with new compliance audit triggers for every RMP incident and near miss, and covered companies will be in continuous audit mode. Here is a link to Conn Maciel Carey’s testimony about the new compliance audit requirements at the EPA RMP rulemaking hearing. The requirement to conduct an incident investigation will be triggered under the proposed rule by newly defined “catastrophic releases” and “near misses.” “Catastrophic release” would now be defined to align with a reportable accidental release (i.e., an accident with death, injury, evacuation, shelter-in-place, property damage or environmental harm). That is not controversial. The term “near miss,” however, would be defined to include every instance in which a relief valve pops, or an interlock or release alarm is activated. In addition to the new triggers, the scope of the requirement is amended to require a “root cause” incident investigation, with new mandatory information including an incident description in chronological order with relevant facts, the consequences of the event, a description of the emergency response, the initiating event, the direct and indirect contributing factors, and the root causes. In a classic move by this Administration, “root causes” is defined as underlying system-related reason(s) why the incident occurred and “correctable failure(s) in management systems.” By expanding the triggers to conduct an investigation and also expanding the scale of each investigation to require a full root cause investigation, these proposals will significantly increase the investigative burden on operators. EPA has been under pressure from entities like the U.S. Chemical Safety and Hazard Investigation Board to include “inherently safer technologies” as part of RMP. Under this proposed rule, EPA considers IST to include (in this hierarchical order of preference): inherently safer technology or design; passive measures; active measures; procedural measures; substitution of alternative safer chemicals; and moderation of process or procedures. EPA is proposing to require covered facilities to consider safer technologies during process hazard analyses. The proposed rule calls for Refiners, Chemical Manufacturers and Pulp/Paper operators to evaluate the existence and the feasibility of implementing safer technologies and/or chemicals during the PHA process or through some independent IST analysis. Operators may also consider “feasibility,” defined as being able to successfully implement the IST within a reasonable time; economic feasibility (IST can be implemented without financial ruin); environmental feasibility; social feasibility and technological factors. EPA says there will be no prescribed level of risk reduction that employers must achieve; i.e., there is no enforceable requirement to implement IST based on these analyses, but that lacks credibility. There could be no other reason to compel operators to do the analysis than a regulatory expectation that they act on the conclusions from the analysis. The proposed rule would require coordinating annually with the LEPC and responders; ensuring response capabilities exist; and documenting coordination efforts. The local committee and responders can ask a facility to prepare an emergency response program. “Coordination” would include the facility and local responders meeting and discussing response needs, capabilities, roles, and resources available and needed; identifying capability gaps and developing plans to address them; and deciding which entity will respond to various types of incidents. “Non-responding” facilities (i.e., facilities that rely on outside emergency responders) must conduct annual “notification” exercises while “responding” facilities must conduct annual notification exercises as well as field exercises every five years, with tabletop exercises in the interim years. Field exercises must test notification procedures; evacuation plans; medical treatment; communications systems; emergency response personnel mobilization; coordination with local responders; equipment deployment; and other appropriate actions. Tabletop exercises must test the same actions as field exercises, without mobilizing personnel or equipment. EPA’s proposal also includes requirements to evaluate emergency response exercises within 90 days and document the exercises and evaluations. 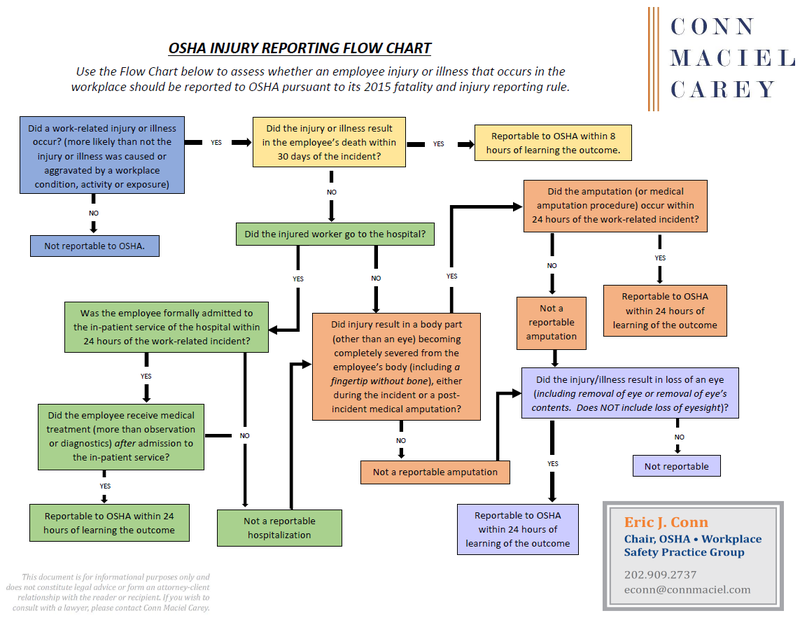 Reports must include a description of the exercise scenario; names and organizations of participants; evaluation of exercise results; lessons learned; recommendations for improvement to the emergency program; and a schedule to promptly address and resolve them. EPA’s proposal would require facility operators to produce a host of information on chemical hazards, incident investigations, inherently safer technology, and emergency drills and disclosed the information to the LEPC and the public. EPA also proposes to require operators to hold regular public meetings to share hazard information every five years or within 30 days of an RMP-reportable incident. Every indication, based on the inter-agency working group’s stated priorities, EPA’s expeditious work on the rulemaking, the hasty public hearing, publishing the rule in the Federal Register even before the SBREFA panel had published its report, and numerous denials already by EPA to extend the period for written public comment about the proposed rule, points to EPA doing everything in its power to finalize the changes before the end of President Obama’s term; really, as soon as possible to try to avoid Congressional Review Act, which allows Congress to easily undo regulatory actions taken during the final six months of an Administration (i.e., Midnight Rulemaking). For more information about this RMP Rulemaking, OSHA’s PSM Rulemaking that will soon follow, and other developments in the world of process safety law, check out the March 2016 webinar put on by Conn Maciel Carey’s national OSHA Practice Group: OSHA’s PSM Standard & EPA’s RMP Rule: Rulemaking, “Interpretations” and Enforcement.